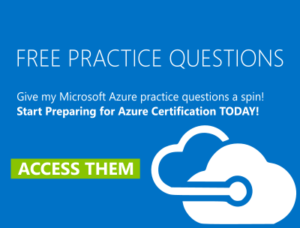 Understanding Azure now offers practice questions for the Azure exams. You can access the FREE practice questions here to get a feel for what I offer. To purchase my PREMIUM collections of practice questions, click here.